Here is another free crochet pattern for the 11.5″ fashion doll. This one is for a hooded jacket. It’s been in the making for a long time as I had a difficult time trying to figure out the vertical row counts in order to make them fit properly. 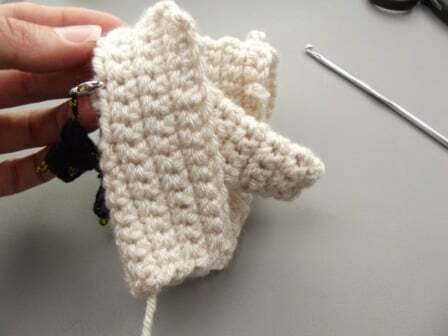 You’d think designing a pattern for a doll this small would be easy, but it’s so small that if you have one extra row, or if the tension is off just a tad, it can result in an outfit that is either way to big or way too small. But I finally got it right…the sleeves are a bit long and bulky, but for a jacket they look okay I think. This pattern is worked in four pieces. The body is worked in one piece from the front, to the back and around to the other side. 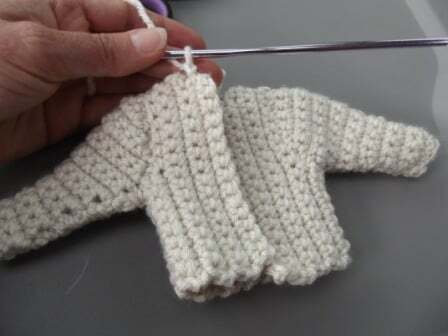 The sleeves are then crocheted separately and attached to the body. 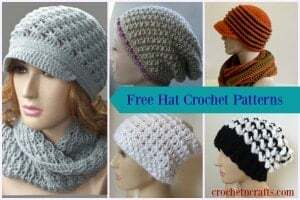 As for the hood, it is crocheted directly to the top after everything else is completed. In the images shown, neither one of the jackets has a closure. 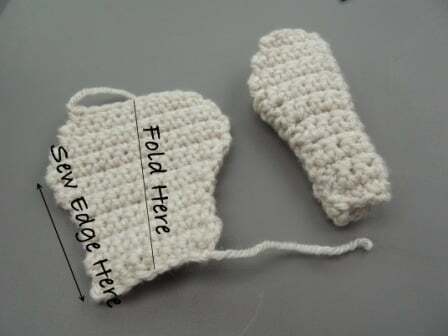 I didn’t have any closures on hand, but wanted to get the pattern out for testing so I took them without any closures. Thank you very much for testing once again. Yarn: Patons Canadiana – The New Generation – 1 ball is enough for both jackets. Gauge: Measures 1″ over 4 sts and just over 4 rows. 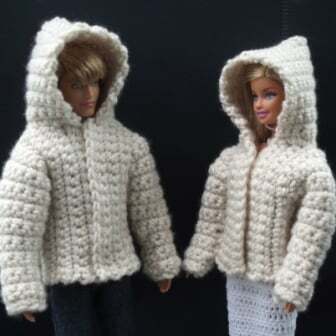 Finished Size: Will fit 11.5″ fashion dolls. The body is worked in vertical rows starting at the front of one side and worked around the back and finished off on the other side. Instructions are given for the small. Special instructions for the larger are in brackets (). Fold the vest and tack the shoulder seams at the top along the first two rows next to the armholes. The Sleeves are worked from the bottom up. Rows 1-4: Ch 1, sk first st, sc in next st and in each st across. Turn. [9, (11) sts] Continue with row 5 for the large. FO for the small. Row 5: Ch 1, sk first st, sc in next st and in each st across. Turn. (10 sts) FO. 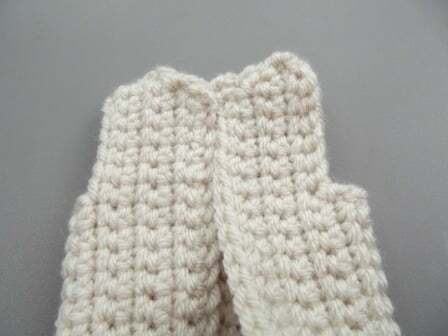 Sew the sleeves along the edges of the increase rows and straight rows leaving the decrease rows open. Turn the sleeves right side out. With the right sides of the jacket and sleeves facing, sew the sleeves to the jacket so that the seams of the sleeves fall underneath the arms. 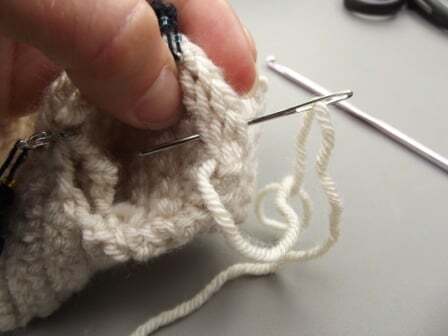 With right side of work facing, attach yarn to the second row in the top right neckline. Ch 1, work 20 sc sts evenly along the neckline leaving the last row unworked. Rows 2-14: Ch 1, sc in each st across. Turn. 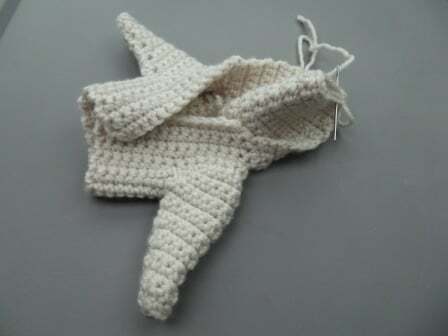 FO leaving a tail long enough to sew the hood along the last row. 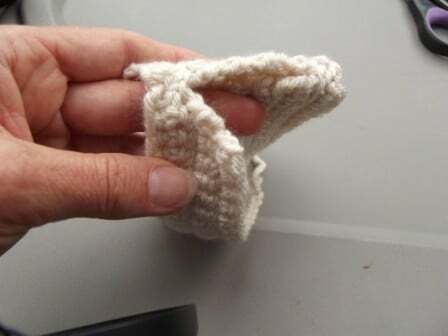 To sew the hood, fold it in half with the right sides facing and stitch along the top. Love this. 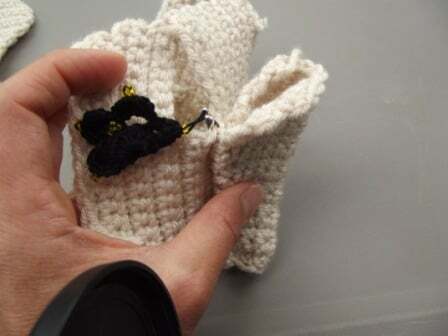 4st time I have crocheted tiny doll clothes. Great easy pattern to follow.